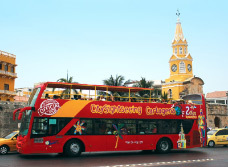 Cartagena Attractions can be more than exciting. 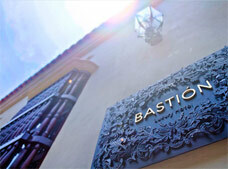 BestDay.com offers a guide to activities and things to do in Cartagena to enjoy your vacation. 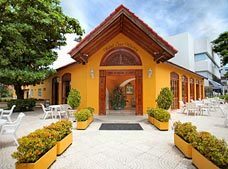 Cartagena has a lot of tourist attractions including beaches, business activities, city tours, incredible colonial buildings and so much more. 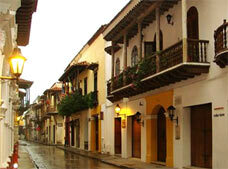 Book your vacation with BestDay and Enjoy Cartagena, Colombia! 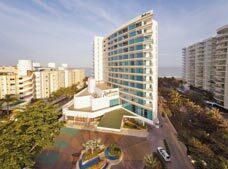 When you think about Cartagena, a good tanning session, a bit of sun tan lotion, a comfortable beach lounger, cold beers, music and even a good book to read are all that you need for a good while. 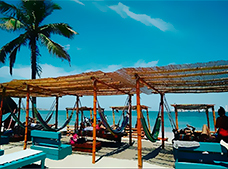 The beaches of Cartagena offer rest and relaxation as well as many alternatives for fun (which include windsurfing, snorkeling, diving or boat rides on the bay) due to the excellent weather of this Caribbean city. 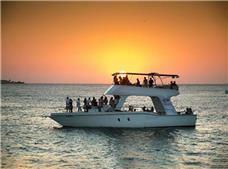 Visitors can take advantage of the Caribbean Sea and all the wonders it has to offer. 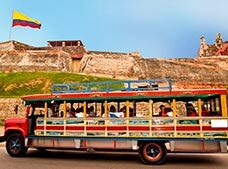 To spruce up your vacations in Cartagena, go by foot, scooter or in a horse-drawn carriage down the streets and past colonial monuments on a tour within this impressive walled city. 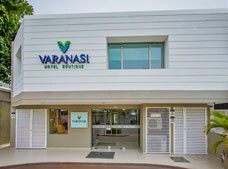 All down the length of this modern hotel zone, do a little poking around and discover a little more to this city. 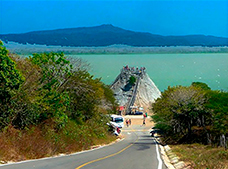 Visit the historic Cerro de La Popa (La Popa Hill), which you can see on the horizon of Cartagena. 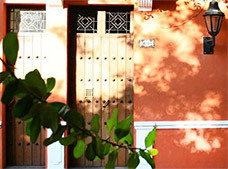 The Walled City "Corralito de Piedra"
This beautiful conjunction of the port, the monuments of old Cartagena and the fort are all considered World Heritage Sites. 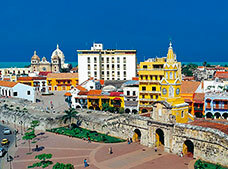 The walled city, lovingly known as "el corralito de piedra" (the stone courtyard or corral), has eight miles of walls, 21 bastions and seven forts, as well as picturesque public plazas and cobblestone streets that embellish the historic center of Cartagena de Indias (as it is officially known). 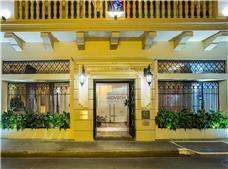 The Puerta del Reloj (a Cartagena landmark) is one of the main entrances to this beautiful city. 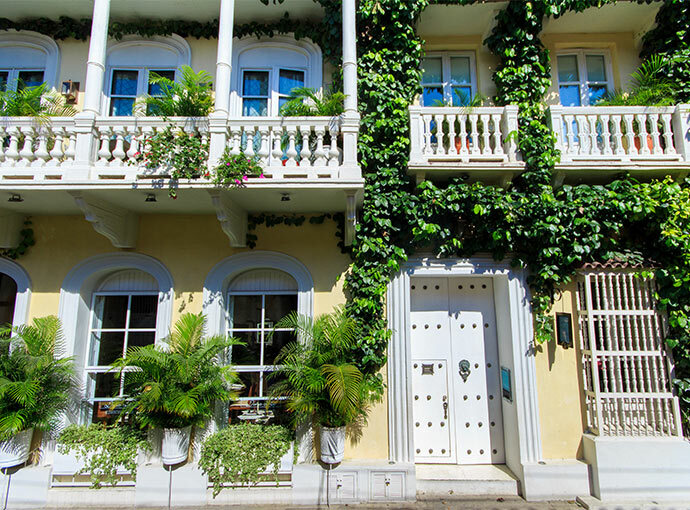 Next to the Puerta del Reloj is the Plaza de Los Coches, scene of the mixing of the cultures and races, producing the creole mix that is characteristic of Cartagena and giving birth to the Afro-Colombian folklore that is famous around the world. 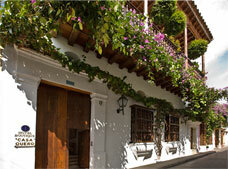 The Plaza de Los Coches is the perfect place to ride a horse-drawn carriage and tour the walled city. 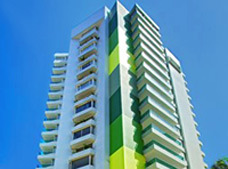 Explore and listen to the interesting explanation that is given on all the buildings and landmarks visited. 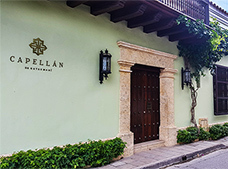 Get to known this city and take photos of the main attractions located within the "corralito de piedra", like the Plaza de la Aduana, the Casa Museo Simon Bolivar (Simon Bolivar House and Museum), the Palacio de La Inquisicion (Palace of the Inquisition), the Museo del Oro de Cartagena (Museum of the Gold of Cartagena) and the churches of Santo Domingo and San Toribio, which date back to the 16th century. A visit to the Convento de San Pedro is also a must, the final resting place of Pedro Claver who was one of the main defenders of the Black population. The Museo Naval, the statue of the India Catalina (another significant landmark of the city) and the Teatro Heredia (which is the main forum of the performing arts in the city) are also important. 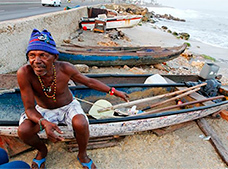 A walk along the sea wall that leads to the romantic sea is fundamental for that classic photo for the visitor to Cartagena. 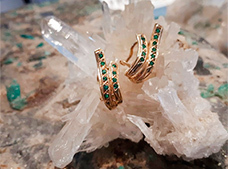 Sit on the stone wall which are centuries old, with the sea in the background or pose at one of the bastions, like those of Santiago, Santo Domingo or San Francisco, that are the crowning touches to the impressive walls of Cartagena. 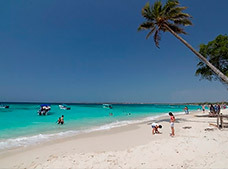 The beautiful beaches of Cartagena allow swimmers to advance towards the waters of the Caribbean Sea, without having it rise past waist-deep, even ten meters out. The shallowness of the water makes it a great place to literally "sunbathe", making it the coolest spot to get a good tan. They're also great for families who want to teach their kids how to swim. The beaches become a true carnival everyday. Beautiful "Palenqueras" (women who are dressed in brightly colored costumes with baskets of fruit on their heads) offer their wares so that you can cool off for a moment, while you take in a view of the sea. Women who come and do braids appear everywhere, adding a bit of a busy feel to the place, leaving in their wake well-coiffed tourists, who feel comfortable enough to take a dip, without worrying about ruining their 'do. 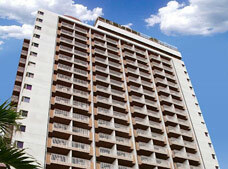 Pose and take photos on your fantastic vacation in Cartagena de Indias. 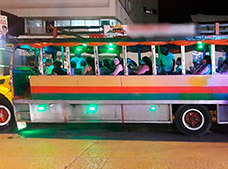 There are various boats and scheduled departure times for excursions that take you from mainland Cartagena to these beautiful island paradises. 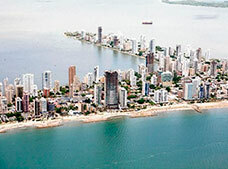 The Island of Tierrabomba is located on one side of the Bahia de Cartagena and because of this, has wonderful beaches. There are also forts and ruins of old colonial buildings. 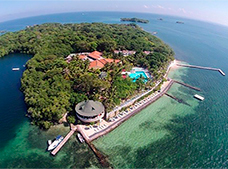 The Islands of Rosario is a series of 30 smaller, coral islands, surrounded by transparent waters, typical of the Caribbean Sea. Snorkeling or diving in this water is an absolute wonder, as you admire the incredible colors of this underwater world. On these islands, there is an oceanarium, with a typical dolphin show as well as sharks, which add to the attraction of this archipelago. Complement all of this with land activities. 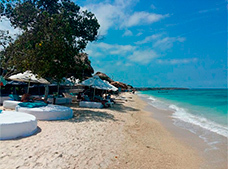 The Island of Baru is another Cartagena attraction that you can't miss out on. 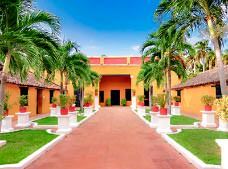 You can get there by land, crossing the Canal del Dique, or by sea, crossing the majestic Bahia de Cartagena. 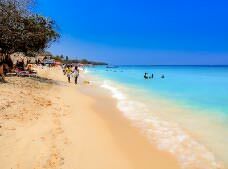 This beautiful place offers a long length of white sand beaches and crystal-clear waters, excellent for a day of swimming or snorkeling among thousands of multi-colored fish. "The Hill of the Stern" is how the name of this hill would translate. 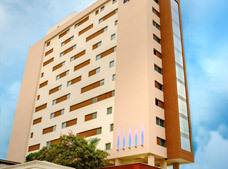 Its silhouette is an integral part of the Cartagena skyline. "Popa" (stern) refers to the fact that part of that silhouette looks very much like the back of a boat. At the top of the hill, there is a beautiful church and a colonial convent constructed at the beginning of the 17th century. 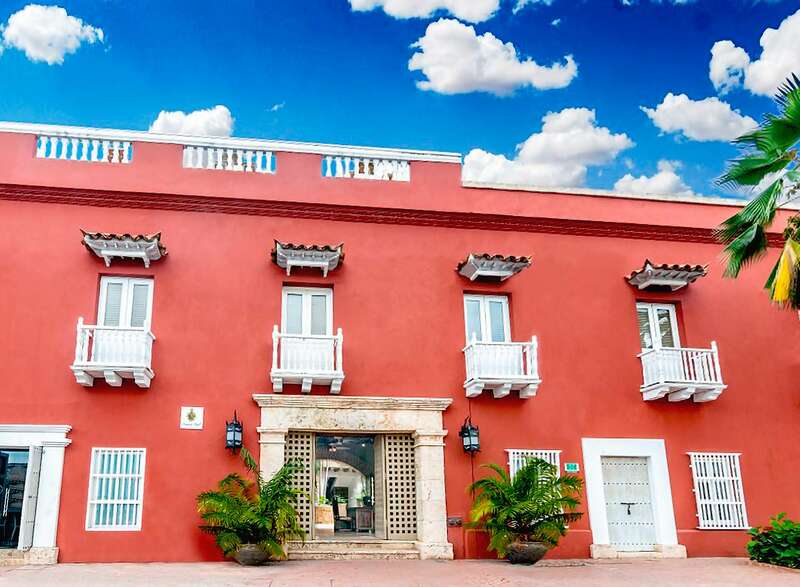 From this point, you can admire the best panoramic view of Cartagena de Indias, starting from the Island of Tierrabomba, the port enclosure and, of course, the beautiful walled city, distinguishable by its symbolic Puerta del Reloj. 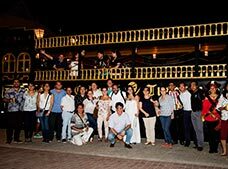 One more attraction in Cartagena (even though this one is work-related) is the extraordinary service and installations for conventions. Large auditoriums with booths built in for simultaneous translation, large, board-meeting type tables and cutting edge audiovisual technology has, in recent years, brought about an interesting change to this much loved tourist destination on an international scale. 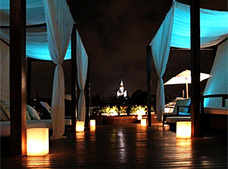 This has made Cartagena one of the main business sites in Colombia and in all of Latin America.